The Supreme Court today disposed off petitions which sought direction to the Centre to bring back the Kohinoor diamond from UK saying the court cannot do much in this issue and the government was anyways taking diplomatic measures get it back. "See diplomatic measures cannot be under any supervision and can a court in India pass any order asking any country to return something? And all the more at a time when the government in its counter affidavit says they are taking steps to bring it back?" Chief Justice J S Khehar -led bench asked lawyers for the petitioners in two PILs. "The Centre's affidavit clearly says though it is not possible to make them return the diamond we will continue to explore it.Yes they say it is not possible but through diplomatic channels it may be possible. What kind of petitions you are filing"? CJI Khehar asked. Centre in its affidavit said Kohinoor diamond is India’s property but international conventions as well as the laws restrain it from making a rightful claim for its return from Britain. The government however said it is devising ways and means as to if the diamond could be brought back based on any agreement with the United Kingdom. Stating that there was no concrete evidence to show that the diamond was validly gifted to queen victoria an affidavit filed by the Centre also said the government was mindful of the Indian public sentiment attached with the gem. However, the government said it did not have many legal options and would have to resort to diplomatic relations to seek its retrieval from Britain. This is a u-turn on the part of the government. 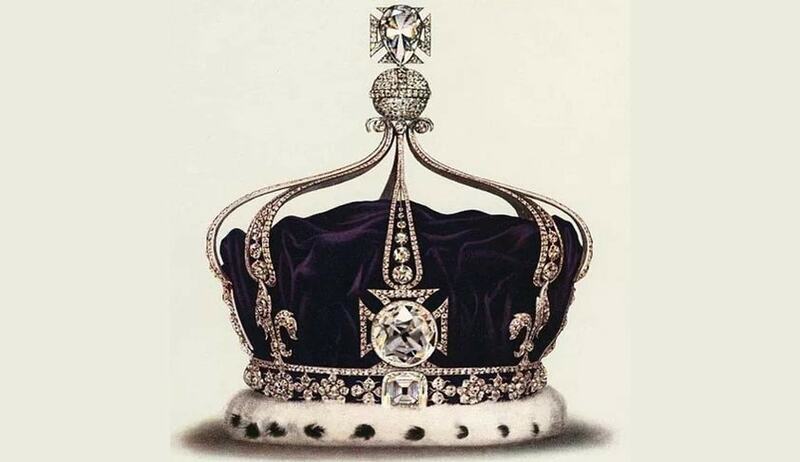 Earlier on April 19 last year, drastically changing india's stand on bringing back the $200 million Koh-i-noor diamond from UK, the government in a controversial statement told the Supreme Court that going by a 44-year-old law, the diamond cannot be reclaimed as it was given as a "gift" in 1849 by successors of Maharaja Ranjith Singh to the East India Company and not stolen or forcibly taken away from India. The then bench headed by Chief Justice T S Thakur said it will not dismiss the PIL which sought directions for bringing back the diamond saying it might affect any future attempts to get back the gem. "Do you want us to dismiss the PIL? We would have done so after such a statement. But if the government is making a legitimate claim later we wonder our dismissal will stand in your way. They will say your own supreme court has dismissed the case so how can we interfere," CJI Thakur asked Solicitor General Ranjit Kumar. The court had then asked Kumar to take instructions from the External Affairs and Culture Ministries in this regard and file an affidavit. Under the provisions of the Antiquities and Art Treasure Act, 1972, the Archaeological Survey of India (ASI) takes up the issue of retrieval of only such antiquities as have been illegally exported out of the country. According to the Culture Ministry, since Koh-i-noor has been taken out of the country prior to Independence, the ASI is not in a position to process the matter.